Fr. 2188-B. 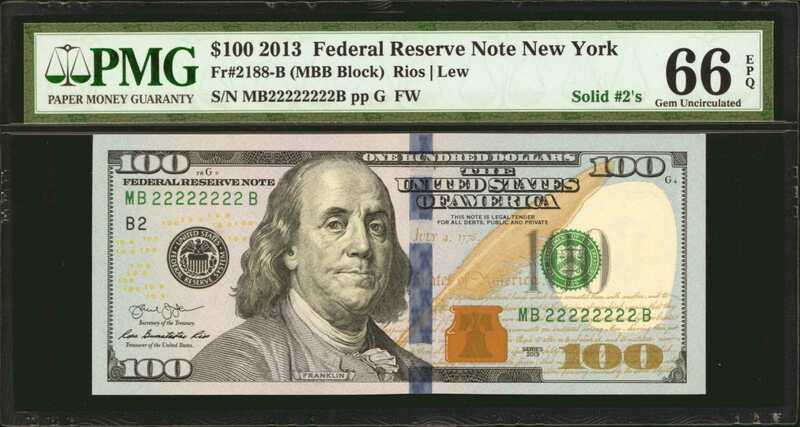 2013 $100 Federal Reserve Note. New York. PMG Gem Uncirculated 66 EPQ. Solid Serial Number.An always popular serial number configuration which shows with solid "2s." The note is also of near perfect quality with large even margins and simply stunning embossing of the overprints.